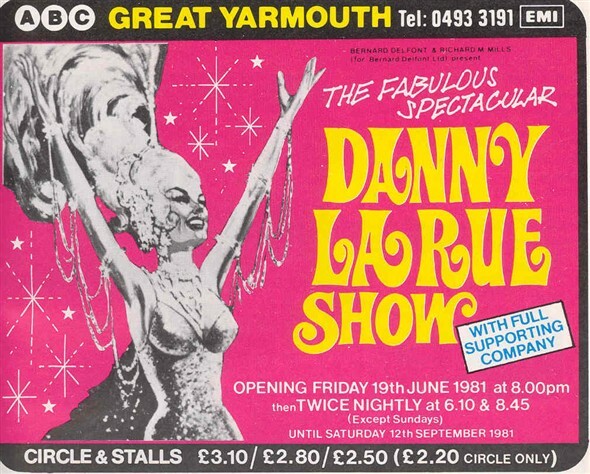 I saw the Danny La Rue show as advertised here. It was truely spectacular and Danny was on form as ever, sadly there were only a few hundred in the audience. 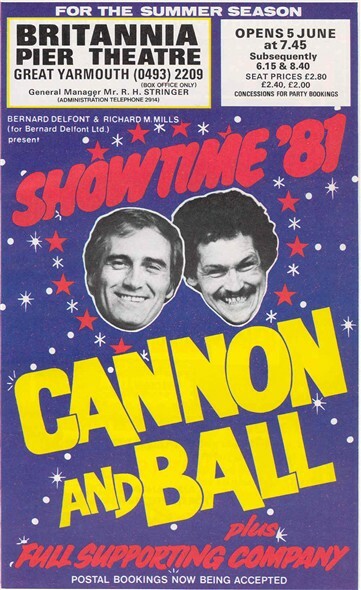 I think the concept of long resident summer shows was starting to fail about this time. Sad to think they've all but gone now. 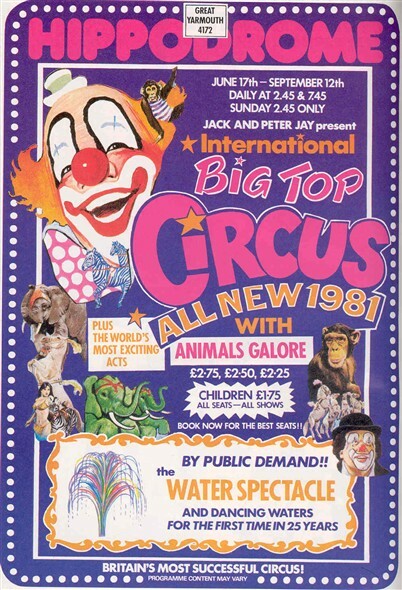 As a child I used to anticipate excitedly about the thought of all the different TV stars who might be in Yarmouth during our annual summer holiday.